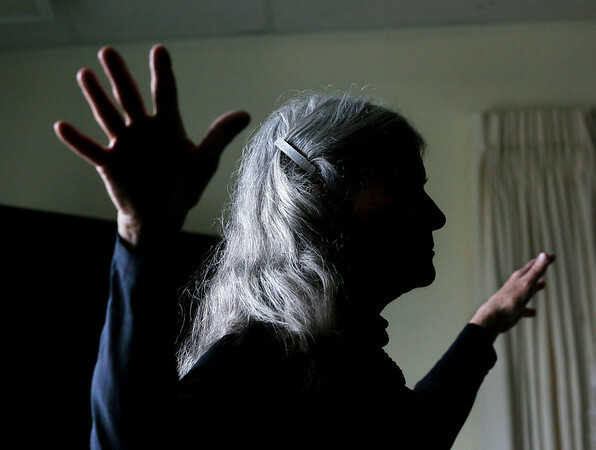 Diana Laurie of Gloucester partipates in a tai chi class at the Rose Baker Senior Center in Gloucester. A gentle Chinese martial art, tai chi offers a variety of health benefits for seniors, according to instructor Carla Mattioli, including: improved balance and coordination, reduced stress, anxiety and depression, and sharpened mental focus. Mattioli offers the hour-long classes at the Rose Baker center on Tuesdays at 9 a.m. and Fridays at 11 a.m., and at the Rockport Senior Center on Tuesdays at 10:30 a.m.